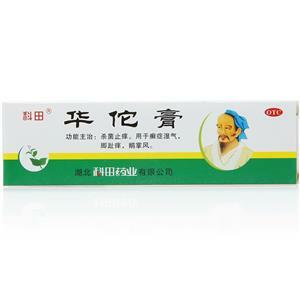 It is used for skin pruritus due to blood-deficiency and dapness-heat acculated in skin syndrome. Enriching the blood and moistening dryness,removing dampness and relieving internal heat,dispelling wind and arresting itching. Rehmannia Root,Chinese Angelica Root,Root Radix,Cicada Slough, Lightyellow Sophora Root,Densefruit Pittany Root-Bark,Liquorice Root,Baical Skullcap Root,Glabrous Greenbrier Rhizome. This product is film-coated tablet. After removing the film coat, it is brownish-yellow to tan; the gas is slight and the taste is slightly bitter. 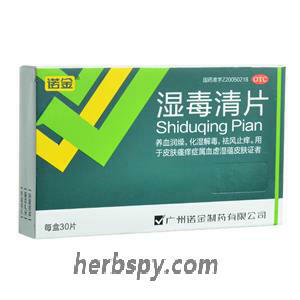 For oral use after meals,3-4 tablets thrice daily or by medical ordor. 1.Avoid alcohol and tobacco and spicy,cold, greasy food during taking this product. 2.It’s not appropriate to take nourishing warm or heat property chinese medicine wihle taking medicine. 4.Patients with diabetes, liver disease, kidney disease,tumours and other severe chronic diseases shall take medicine under guidance of physician. 5.The affected area should not be washed with hot water. 6.Six days without any remission,should go to hospital. Relieving Itching effect. It can counteract the itching caused by dextran in mice and increase the itching threshold of histamine to pruritus in guinea pig skin. Anti-inflammatory effect. It can inhibit the increase of capillary permeability of rat induced by histamine; obviously eliminate the swelling of mouse ear caused by croton oil. Stage Food and Drug Administration Approval number:Z20050218.